In 1983, at a time when my children were toddlers, my family moved to Essex. I quickly discovered that the local pre-school provision did not include the sort of high quality nursery care that I envisaged for my sons. I set about to create my dream. After much research and endless months of hard work, I found our site in Rayleigh and founded the Rainbow Nursery in October 1984. In 1990, we were invited to purchase the Southbourne Grove site and both nurseries are now managed by full time, highly qualified and experienced nursery managers. I myself have become an Early Years Professional, involved in leading best practice in childcare in Essex, NVQ assessor in childcare and education and have carried out early years inspections on a freelance basis for OfSTED. (Office for standards in education). My time is now divided between the nurseries. I now sit on the Essex Early Years Development and Child Care Partnership and have been an NDNA (National Day Nurseries Association) committee member for over 10 years. In 2006 I gained a distinction in an Early Years Childcare and Education Foundation Degree. 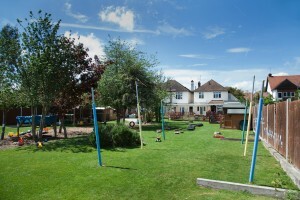 My qualifications and experience have enabled us to stay at the forefront of local nursery provision. I was recently invited to join a group of Early Years Professionals to attend an International Study Week in Reggio Emilia in Italy- famous worldwide for its early years childcare centres and philosophy. As a result, he ‘Reggio philosophy’ is now at the heart of all that we do with the children. From the outset, our aim has been to create the atmosphere of a home from home. 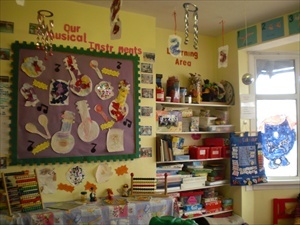 We have established excellent links with the local schools and our standing in the community is very high. Our long-term aim is to ensure that we stay abreast of the changes in “early years” care and education, to ensure that our children have the best possible start in life. Our standards of care are continuously monitored to maintain excellence. We hope that you will enjoy browsing our site and we look forward to welcoming you soon.